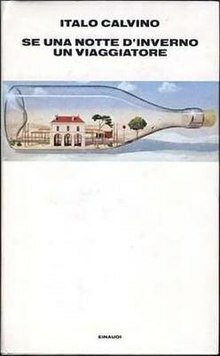 Once upon a time, based on the recommendation of my writer friend Jackie Windh, i put the book If on a Winter’s Night a Traveller, by Italian writer Italo Calvino, on hold at the Tofino library. It’s a peculiar book, Jackie said — self-referentially a novel that starts off with a musing on the writing and reading of novels, then branches off tangentially (but rationally) with each new chapter into possibly new stories, each never completed. I knew it would be at the Tofino library because Jackie had just returned it the day before. So i put a hold on it from VIRL’s on-line site, to keep it there. An automatic email arrived shortly from the VIRL system, saying the book was ready for pickup, and a few days later i went in to collect it. 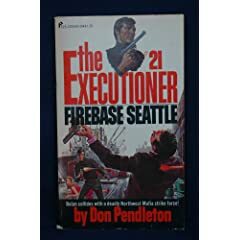 A pithy quote from Firebase Seattle — The Executioner #21,, by Don Pendleton. Who says pulp trash is unenlightening? While i think of it, this year’s Massey Lectures were delivered by Margaret Atwood, under the stunningly prescient title (given recent events) of Payback — Debt and the Shadow Side of Wealth. As the blurb says, it’s not about practical debt management or high finance. Rather, it is an investigation into the idea of debt as an ancient and central motif in religion, literature, and the structure of human societies. I caught one lecture live on Ideas but couldn’t work the rest in. However, i now have them all as podcasts. The plan is to get together with a bunch of people, listen to them (one at a time) on subsequent evenings, and discuss. Let me know if you’re interested. All five lectures can be downloaded as podcasts here, for a limited time, courtesy of the good old CBC — the best thing to happen to media in this benighted country since, well, ever.